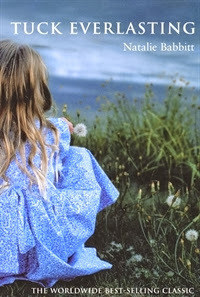 The Borrowers by Mary Norton: What a lovely, lovely book. I’m so glad to have read it at last. I was already acquainted with Pod, Homily and Arrietty Clock, Mary Norton’s miniature people who live under the floorboards of an old house, because a few years ago I watched “Arrietty”, the Studio Ghibli adaptation of Norton’s book. Having watched the movie first informed my reading of The Borrowers — I don’t think I’d have been quite as focused on Arrietty’s friendship with the Boy if not for Yonebayashi’s take on the material — but as it turned out, that wasn’t at all a bad thing. She slid out from between her sleeping parents and, just as she was, with bare feet and in her vest and petticoat, she ventured out of doors. Mary Norton is one more writer to point out to people who say they don’t read children’s literature because the prose is never more than serviceable (which yes, is really a thing, and no, I don’t think there’s actually anything wrong with serviceable prose). I’m very much looking forward to reading the rest of the series. 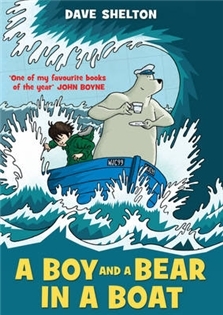 A Boy and a Bear in a Boat by David Shelton: This book in one word: d’aww. 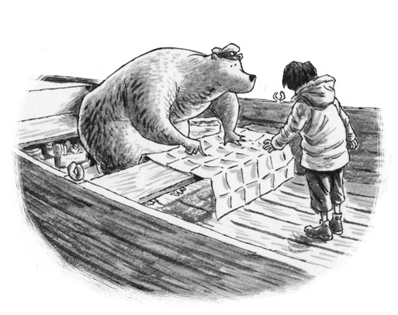 It delivers exactly what it promises: a story about a boy and a bear having adventures in a boat, with lots of gentleness and humour to boot. The novel is filled with a sense of adventure and possibility, and it does what it sets out to do very well indeed. 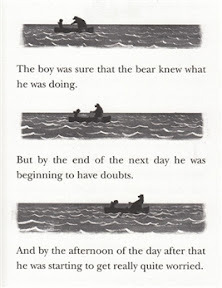 I suspect that the secret to enjoying it is not to expect any answers: what the boy and the bear are doing in the boat isn’t the point as much as their relationship. A Boy and a Bear in a Boat is full of gentle teasing and companionship, and the way the two friends become accustomed to and increasingly fond of each other was a joy to see. 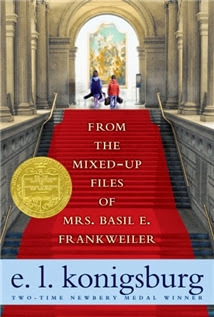 From the Mixed-Up Files of Mrs Basil E. Frankweiler by E.L. Konigsburg: Recently my friend Aarti reviewed Joan Aiken’s The Wolves of Willoughby Chase, which she read for the first time as an adult, and talked a little bit about how even though she enjoyed it now, her ten-year-old self would have found it far more epic and adventuresome and awesome. This is more or less how I felt about From the Mixed-Up Files of Mrs Basil E. Frankweiler. The only certainty I have about how my adult taste in stories differs from that of my younger self is this: the world felt bigger, time felt longer, and it was much easier for an adventure that’s over in a short period of time to feel sprawling and life-changing and all-encompassing. Claudia and James’ week as runaways at the Metropolitan Museum of Art in New York would certainly have felt that way to me as a child, as indeed it does to the two young protagonists. Having said that, I still very much enjoyed E.L. Konigsburg classic — especially the way the two siblings’ adventure is matched by Claudia’s inward journey. Claudia convinces her brother to run away in part because she feels constrained by gendered expectations and by the way double standards make her life differ from her brothers’. There’s no guarantee that this will have changed when she goes back home, but she returns having had a glimpse of the vastness of the world and the possibilities it offers. Claudia’s secret and the way it lifts her out of ordinariness is also a reminder that when she grows up her life will be expanded, and that the wealth of knowledge and experience of a Mrs Basil E. Frankweiler is not forever beyond her reach. The first week of August hangs at the very top of summer, the top of the live-long year, like the highest seat of a Ferris wheel when it pauses in its turning. The weeks that come before are only a climb from balmy spring, and those that follow a drop to the chill of autumn, but the first week of August is motionless, and hot. It is curiously silent too, with blank white dawns and glaring noons, and sunsets smeared with too much color. Often at night there is lightening, but it quivers all alone. There is no thunder, no relieving rain. These are strange and breathless days, the dog days, when people are led to do things they are sure to be sorry for after. This sets the tone for Tuck Everlasting: lyrical, melancholy, thoughtful and bittersweet. It tells the story of a girl, Winnie Foster, who becomes acquainted with a family who has drank from the spring of eternal youth. Winnie’s conflicted thoughts about whether or not she wants to join them are intermingled with reflections about the cycle of life and what she’d be giving up if she were to step out of it. I was interested in how Tuck Everlasting offers a counter-narrative to many vampire/insert-supernatural-being-of-your-choice stories, where the romantic allure of immortality is presented without its potential pitfalls being explored in detail. Then again, as someone who was reared on old school Anne Rice, I’m used to stories with at least some of the bittersweet tinge of Tuck Everlasting. When I was looking for an image of the cover to include in this post, I came across a poster for a movie version featuring my beloved Rory Gilmore as Winnie. Naturally I want to watch it for that alone — does anyone have any idea if it’s any good? I know I've read the Borrowers once long ago, but I don't recall it being so lovely as the quote you share. I must revisit that one again someday. And I read The Mixed Up Files- as an adult so while I liked it, I wasn't as captivated as I might have once been. Tuck Everlasting is among my favorites; I've read that one several times. The boy and bear in a boat is the only one here I'd never heard of! From the Mixed-Up Files and Wolves of Willoughby Chase were two of my very favorite books as a kid and remain favorite re-reads in adulthood along with Harriet the Spy. Keep that love of adventure alive! I absolutely adored The Borrowers series as a girl. Still can picture Arrietty's cigar box bed and spool stool. 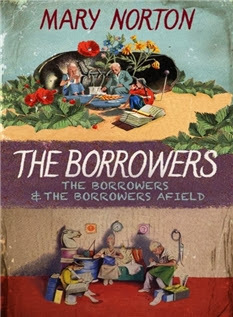 I read The Borrowers series for the first time over the last two years and suspect I got a lot more from it as an adult than I would have as a child, such as that really well drawn conception of the family as refugees (something very relevant to Australia at the moment). Really excellent books, and the writing is so lovely. I'm so pleased you enjoyed The Borrowers I think it's an adorable story. Mixed-up Files is great fun too. I did read it when I was younger, and it felt pretty epic! I LOVE both From the Mixed-Up Files and Tuck Everlasting. I read them over and over as a kid. I actually enjoyed the movie version. It sticks remarkably close to the book and retains that dreamy memory feel. Plus I love Rory, so she was a good fit. Jill: Yes you do! Definitely one that merits re-reading. Jeane: I hope you enjoy A Boy and a Bear if you decide to seek it out! Tuck Everlasting was so lovely - I can see why you'd consider it a favourite. Caitlin: I definitely will! And one of these days I'll finally get around to Harriet the Spy. Caroline: The imagery is so lovely, isn't it? Tasha: I like knowing what people are talking about even if the book turns out not to be for me :P I guess that's part of the appeal of the classics - they make it easier for you to participate in a wider conversation. Vicki: That's such an excellent point about the family as refugees! Jessica: It really is, and so well-written too. 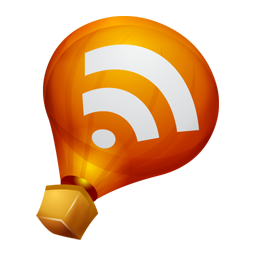 Cheryl: They get even better? I definitely need to get to them sooner rather than later! Melissa: That's good to hear. I shall seek it out! It's interesting to me that you link The Wolves and The Mixed-Up Files. I read The Wolves in childhood and I remember being puzzled by a brief review on the back cover, to the effect that children would be fascinated and adults would find it "laugh-out-loud funny." Funny? It wasn't funny! IT WAS AMAZING! Scary! Exciting! And then I read it to my children 15 years later, and sure enough, found Aiken's sly humor on every page. Similarly, I think I actually appreciated The Mixed Up Files MORE in adulthood - the ending made far more sense to me, and I found Claudia and James far more poignant. I remember seeing the movie of Tuck Everlasting with Rory as the main character when my kids were young because they'd just read the book when the movie came out. As I recall, it was a pretty, slight movie.